AdvanceLoan was founded and launched in 2008. 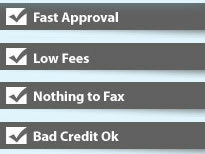 The website was originally developed as we saw a need for people looking for payday loans and cash advances to receive a better level of service. The idea was to leverage the speed of the internet to achieve this. 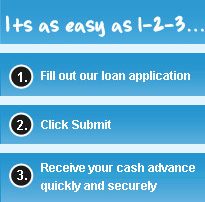 The concept began with the desire to make the whole process of applying for a cash advance loan completely online, without the need for filling out separate paperwork or faxing any documents. With the help of our technology partners, AdvanceLoan has been able to achieve this goal. AdvanceLoan works independently of payday lenders to ensure that we have the widest possible coverage of lending opportunities for consumers. Going forward it is our intention to continue using the latest technology to help our clients access payday lending products. We intend to offer specific areas of the site for cellular mobile phone applications. It should also be noted that clients can apply directly via a toll free telephone number already.